Here at Murphy Beds of San Diego, we regularly get and respond to lots of questions regarding using a Murphy bed in the home. This is particularly true of those who want to know if they can make these ingenious furnishings their regular sleeping platform each night. 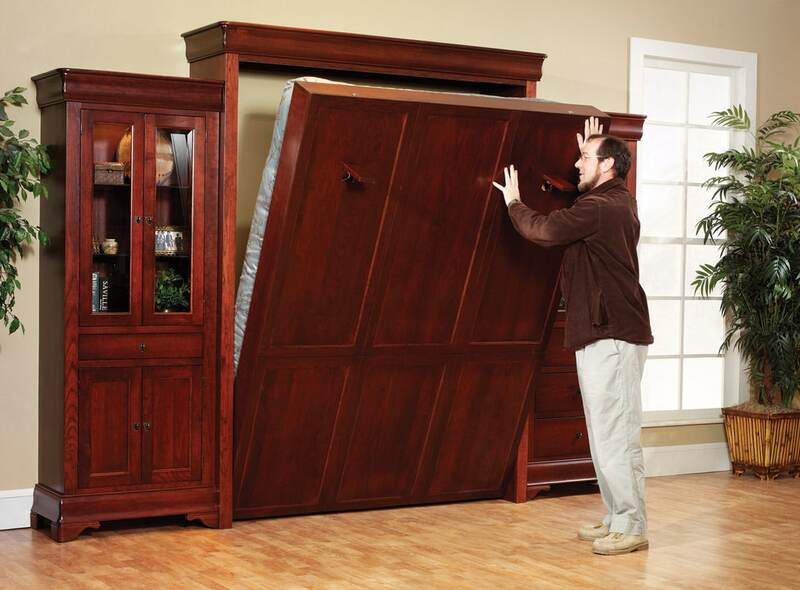 Due to our large customer database and decades of experience, we know the answers to all the Murphy bed FAQs you can possibly imagine. 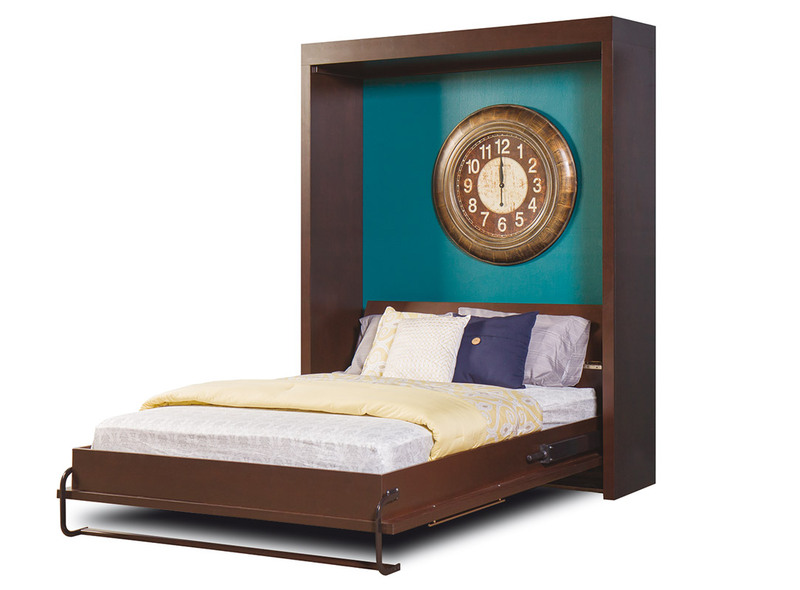 Is a Murphy Bed comfortable enough to sleep on every night? This is one of the most common Murphy bed FAQs we get and the answer is definitely yes! The great thing about buying a Murphy bed is that you can either choose to order it with a mattress made to fit, or you can simply use your own mattress. Although the mattress has to be on the thinner side (no pillow tops), modern materials such as gel and memory foam are very plush and the most common types our customers choose. Since you are sleeping on a regular mattress, albeit without the box spring foundation, a Murphy bed is definitely as comfortable as a regular bed. Isn’t it a pain to fold the mattress up and down in the cabinet? All of our Murphy beds are made to quickly and easily pull down for a good night’s sleep. Nearly anyone can pull the mattress down from the cabinet; it requires very little force or strength due to the modern mechanism. Once down, the mattress stays securely in place. To fit it back into the cabinet requires merely fastening a couple straps over the tucked-in bedding and letting the springs snap it back into place via a gentle tug on the end of the mattress frame. Is a Murphy bed safe? Back in the old days, when Murphy beds were still considered to be new and different, the open/close mechanisms were not always very reliable. This resulted in many a hilarious Hollywood scene showing a person closed up within the Murphy bed. Today, that would never happen. There are plenty of safety features in place to prevent accidental closure, such as a safety lock. Plus, we offer a manufacturer’s lifetime guarantee on their very reliable mechanisms. 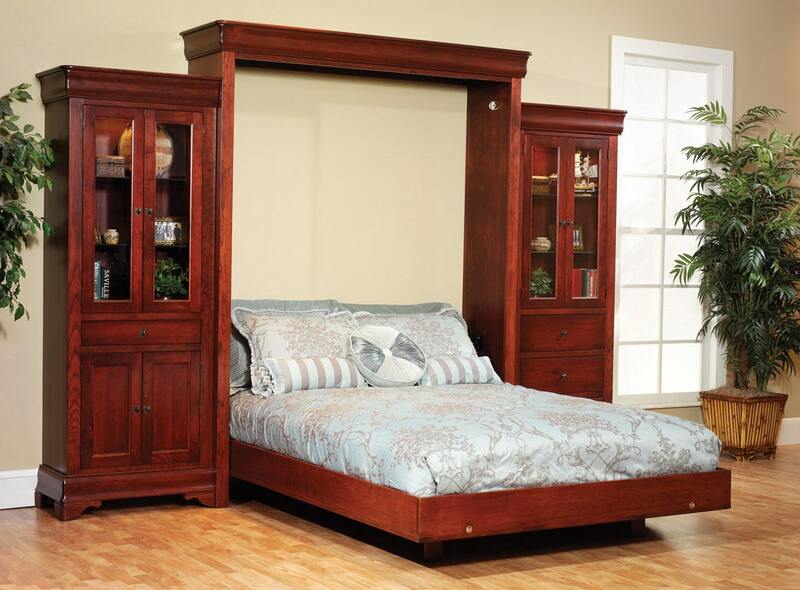 There is no need to be apprehensive about using a Murphy bed for young children or the elderly. Does the Murphy bed need to be folded up each morning? This one is purely up to your own preference. If you have enough space to easily move around the mattress, there is no need to fold it up each day. However, if you are strapped for square footage, it just makes sense to fold up the mattress. Another issue is where your Murphy bed is located. If it is located in one large common room, you will probably want to fold it up each day to avoid cooking splatters and the hazards of everyday life from getting the bed dirty or odorous. Some of our customers only fold up the bed when company is coming. Truly, it is up to you. We hope these short Murphy bed FAQs have helped you to make the decision to save square footage in your home – and possibly even use your wall bed as your everyday sleeping platform. If you have any other questions, please do not hesitate to call us at one of the numbers above or use our convenient online chat feature.